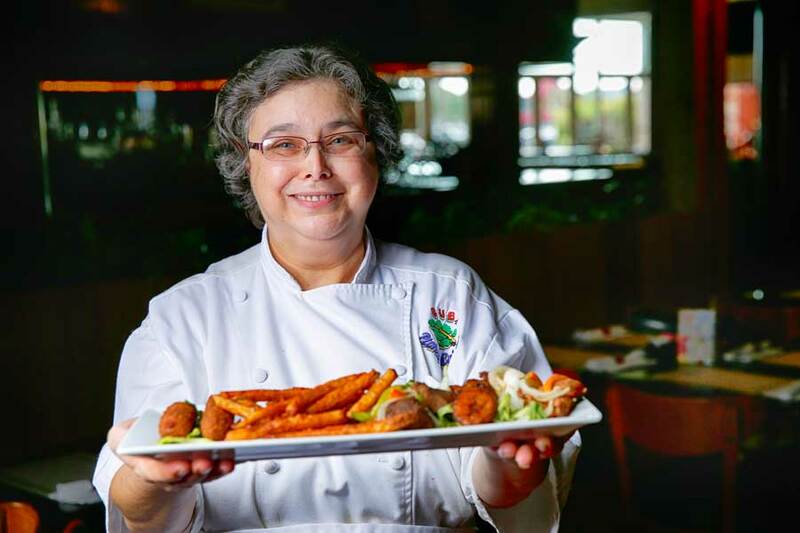 If you’re in the mood for authentic, quality Cuban cuisine, then Cuba Pichy’s Cuisine, located in ViaPort Florida Mall in Leesburg, is just what you’re looking for. Named for its owner, the restaurant features a beautiful polished wood bar as you walk in. We were greeted warmly and there was no wait for our table. The server came quickly for drink orders as we enjoyed Latin music and the seascapes and other Cuban-related artwork. There’s a banquet room that can accommodate up to 40 people, and, as an added bonus, the chef will create a specialty menu just for your group. The menu includes favorite Cuban cuisine items such as black beans, rice, and plantains, but there were also some creative treats. We ordered appetizers—Cuba’s Gran Combo offered a variety of yummy items including masitas fritas, chicharrones de pollo, ham-croquets, and sweet plantains; and beef empanadas filled with spicy, flavorful ground beef encased in a delicious, flaky baked pastry. While we waited for our starters, we had thin slices of Cuban bread with just the right hint of garlic. I ordered one of the three daily specials, which was baked chicken with black beans and choice of white or yellow rice and sweet plantains. The baked chicken was marinated in Pichy’s famous sauce to fall-off-the-bone tenderness and tastefully seasoned; the black beans had bits of onion and just a touch of cilantro; the yellow rice was light and fluffy; and the plantains were slightly caramelized to sweet perfection! Other entrées include beef, pork, seafood, and chicken options, and there’s a kid’s menu. My co-workers ordered from the lunch menu, which contains a variety of dishes, and everyone agreed the food was scrumptious. Among the dishes they tried was the OMG Sandwich, which consists of smoked turkey breast, Swiss cheese, a Spinach-artichoke spread, Pichy’s sweet honey mustard dressing, and sautéed onions on authentic pressed Cuban bread. Add seasoned French fries and you are in Cuban heaven! 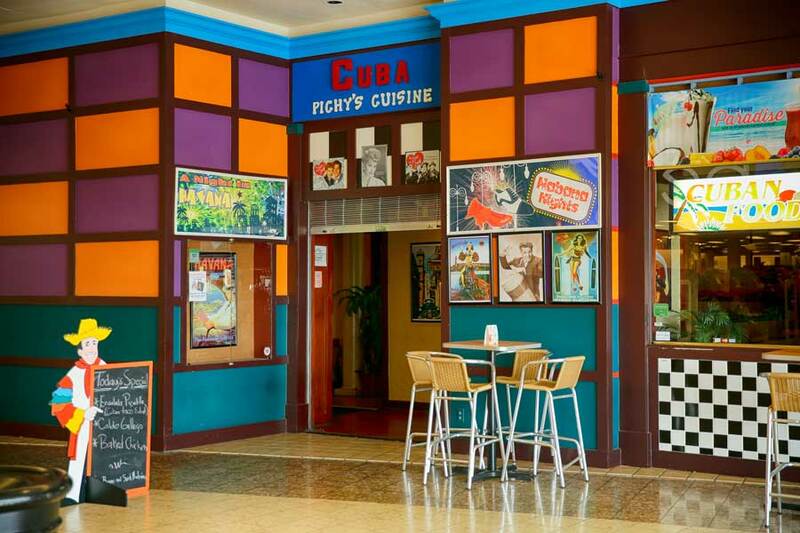 Cuba Pichy’s is truly an “upscale,” but affordable establishment to enjoy authentic Cuban cuisine.